Our mission is to provide service to our clients in a manner that will distinguish us as a benchmark for excellence as one of the top sales leaders in Whatcom County. Our sales team is comprised of well trained and knowledgeable brokers who strive to meet our clients’ needs with open communication, excellent negotiation skills and innovative marketing. Our sales team will offer a quality business environment of trust, responsibility and professionalism. We will serve our diverse client and customer base with mutual respect and discretion. We will demand the highest ethical standard from my sales team as laid out by the original Keller Williams Agent Leadership Council. 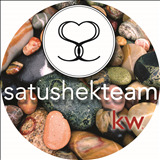 Laurie Satushek is the fearless team leader for The Laurie Satushek Team. Laurie has an extensive background in education as she was a teacher for 22 years in the Mt. Baker School District. Laurie prided herself in teaching research and creativity to the young minds of our amazing community. Her education experience has led to her success in real estate. Laurie started her real estate career in 2008 when most realtors were getting out of the real estate business. Her sales have nearly doubled every year. Laurie is a goal setter and a go-getter! As of 2013 Laurie Satushek is the top producer at Keller Williams Western Realty’s Bellingham office and in the top 2% for Whatcom County. She is a certified investment and luxury borker as well. Laurie's positive attitude shines through as she attains superior results for her clients. Whether it's a first home, investment property, or luxury waterfront home, Laurie promotes confidence in the decisions her clients make from the first conversation to the last signature. When Laurie is not out showing homes or researching the real estate market you will find her enjoying gardening and maintaining her 8 acres with her talented husband and two nearly-grown children at her side. She thoroughly enjoys walking the beach, gardening and just getting outside or you will find her feverishly organizing her next benefit to help others in her community. As agents who are experts in Bellingham, Washington, we bring a wealth of knowledge and expertise about buying and selling real estate here. It's not the same everywhere, so you need someone you can trust for up-to-date information. When it's time to move, you need someone who will advertise your home, show to prospective buyers, negotiate the purchase contract, arrange financing, oversee the inspections, handle all necessary paperwork and supervise the closing. We can take care of everything you need, from start to close. Please see our sell page for more information on selling your home.